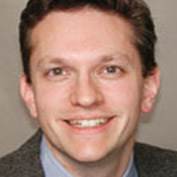 From 2012 to 2014, Sean Clarke, N. PhD, directed the McGill Nursing Collaborative for Education and Innovation in Patient and Family-Centred Care, a donor-supported initiative to enhance collaboration between the Ingram School of Nursing at McGill, the McGill University Health Centre and the Jewish General Hospital. While in Montreal, he served as Chair of the Board of Directors of the Conseil québécois d’agrément. He is a nursing health services researcher specializing in the safety and quality of hospital care and has extensive teaching experience at the undergraduate and graduate levels in Canada and the United States. He has managed research groups and been involved in academia-practice partnerships in a variety of roles, including an endowed clinical research chair at the University of Toronto and University Health Network. A fellow of the American Academy of Nursing, he holds adjunct appointments at the Université de Montréal and the University of Hong Kong and is involved in research collaborations and training, peer review of research proposals and journal publishing, as well as speaking and consulting internationally.